In 2018, Frances brought forward the Gut Garden Concept, a training tool to empower others to understand all aspects of holistic gut health. 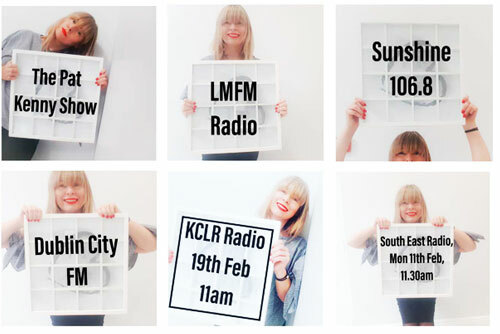 She endeavours to bridge the mental psychological blocks that everyone has about their bowel and gut health through excellence and education in her clinic and by profiling the importance of gut health in the Irish media. Frances Flannery is Irelands leading functional gut health therapist. She speaks regularly on health in the media nationally and internationally. Frances believes that the secret to total body wellbeing and happiness begins in the gut. She also knows that as human beings, we all have a mental disconnect surrounding our bowel. That is why Vitality Centre clinics offer clients a new and different approach to hydrotherapy. During body cleansing, probiotic enemas, liver cleansing and other functional gut health treatments absolute privacy is now possible. The Harley Street Method of colonic hydrotherapy is exclusively available at Vitality Centre in Ireland. Frances conducts talks on gut health regularly throughout Ireland. Frances Flannery speaks about gut health, nutrition and wellbeing on radio stations across Ireland. She is dedicated to creating a positive attitude towards and around this topic so that others may overcome the mental and physical barriers, the stigmas and embarrassement that many people still have about their own body and particularly their gut and bowel health. She believes that wellbeing can only be achieved when there is an open and honest dialogue and acceptance of our bodies and when we realise what science is now starting to accept, that all disease starts in the colon.